Blog Designer Pack Pro is a good handy and best solution for everyone who is looking for a responsive blog page with the website. Blog Designer pack Pro provides you a variety of blog templates to setup your blog page for any WordPress websites. Sometimes, we always stick with one blog layout as per theme, but it’s not easy to change or modify only blog layout very easily, only you can do it by modifying code and css files. 120+ Unique and Clean Design. Display Blog in a Grid View. 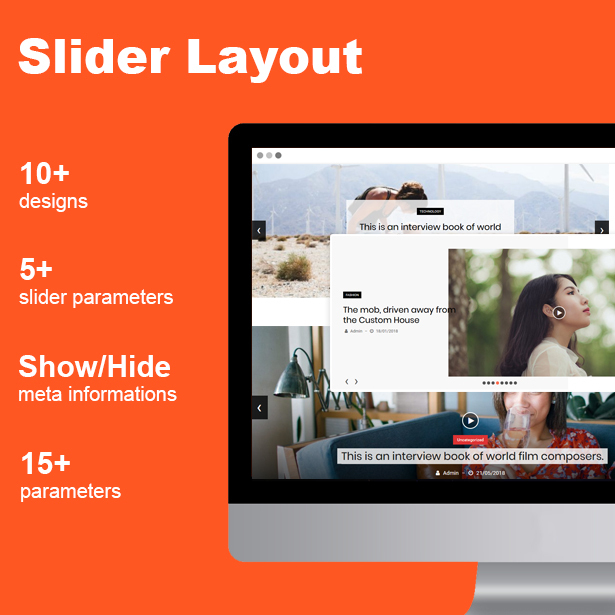 Display Blog in a Slider View. Display Blog in a Carousel View. Display Blog in a GridBox View. Display Blog in a GridBox Slider View. 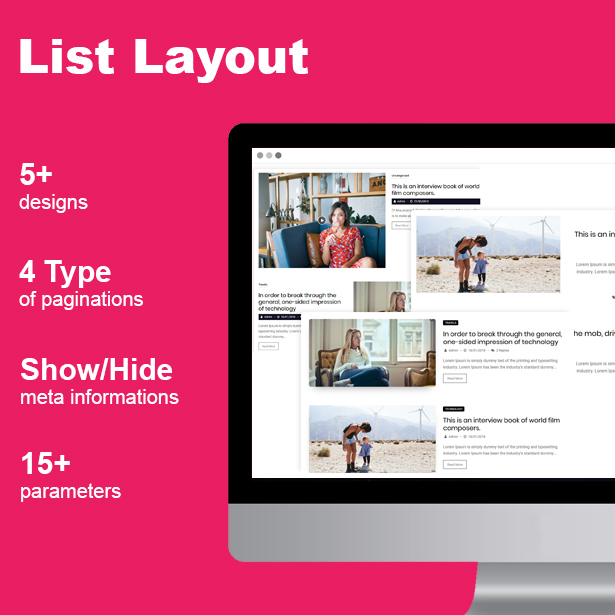 Display Blog in a List View. Display Blog in a Masonry View. Display Blog in a Timeline View. Display Blog in a Ticker View. Works with any Custom Taxonomy. Works with any Custom Tags. Set custom link for post. 4 Types of different paginations. Load More and Prev – Next Ajax Pagination. Shortcode Generator with Live Preview Panel – No hassles for documentation. Amazing Shortcode Template Functionality – Control your shortcode from one place on various location!! Created with WordPress Template Functionality – Modify plugin design from your theme. Set “Order” and “Orderby” sorting parameters via shortcode. Strong and advanced shortcode parameters for your needs. 100% multilanguage – Plugin is completely translatable both in front and back-end. 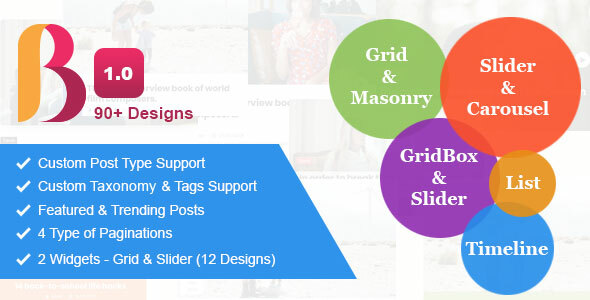 However, using Blog Designer Pack plugin you can design your blog page as per your choice to give it a WOW factor. Also you can modify various settings very quickly from the admin side of Blog Designer pack plugin. So, beginners can start blogging within 5 minutes, no coding skill required.